#LoveLikeDawson is a place for all of Dawson Hartwig’s friends and family to come join in community and prayer. 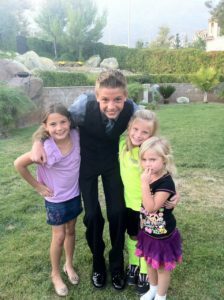 If you feel led to give anything in Dawson’s memory – Dawson had planned on going on a mission trip last summer to Thailand. Monies raised will go to reach children around the world which would be Dawson’s desire. Dawson had a heart for others no matter who they were or where they were from. Our mission is to raise money for children around the world in Dawson’s honor because Dawson had a heart for others no matter who they were or where they were from. Donating to charity is a major mood-booster. The knowledge that you’re helping others is hugely empowering and, in turn, can make you feel happier and more fulfilled. Having the power to improve the lives of others is, to many people, a privilege, and one that comes with its own sense of obligation. Acting on these powerful feelings of responsibility is a great way to reinforce our own personal values and feel like we’re living in a way that is true to our own ethical beliefs. Many people are concerned that their donations to charity may be reduced by tax or administrative costs, preventing the full amount from reaching the people or causes they really want to help. Thankfully there are ways to make the most of every donation to charity. By donating straight from your salary before tax is deducted through a payroll giving system, donating shares to charity or leaving a charitable legacy in your Will are methods of giving to ensure your chosen charities benefit as much as possible from your support. Starting a tradition of donating to charity with your children is easy – try creating a family donation box that everyone can add to and nominate a family charity each year, involving the children in choosing which causes to support. If this has inspired you to make a donation to charity, your generous gift will help children in poverty all over the world. Checks can be made out to Water of Life with Global Outreach #LoveLikeDawson in the memo. or be dropped into a tithe box on any of our campuses. Check out #LoveLikeDawson.net to donate.